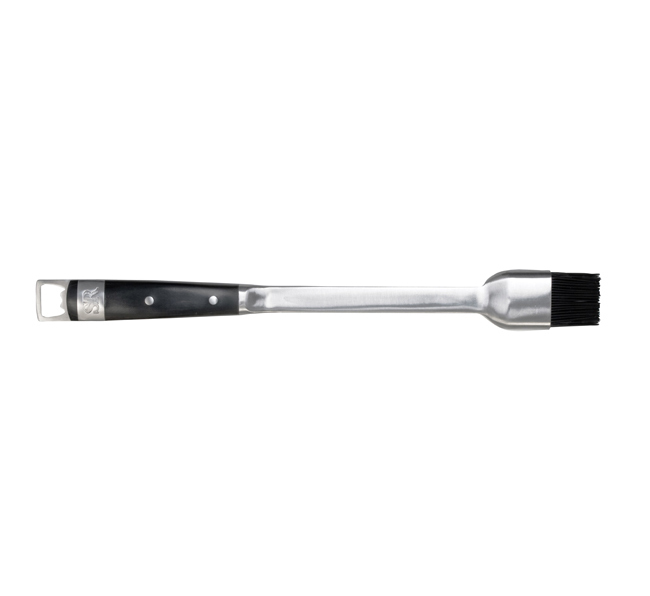 Silicone brush bristles easily release basting mixtures, flavored butters, sticky glazes and barbecue sauces. The brush is styled with a forged stainless steel and ergonomic Pakkawood handle, and features a bottle opener on the end of the handle. The overall length is 18.5 inches.